The American Muslims have taken this initiative to remember one of the greatest tragedies in the history of our nation by bringing about a positive change to the 9/11 event. 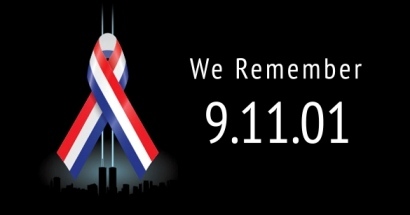 We are committed to make this day, the Sunday before 9/11, a day of Unity of Americans to pledge to the peace, unity and prosperity of our nation and the humanity. As Americans we uphold, protect, defend and celebrate the values enshrined in our constitution. All our faiths reinforce the creed of "One Nation under God, with liberty and justice for all." Saturday was the most preferre days, but it is Sabbath day for our Jewish friends and hence we chose Sunday to accomodate our Jewish friends. The nature of our events could be carried out on Sunday Mornings, but we could not do that time as well, as most Christians and Hindus are in their places of worship. Sunday evening by far has worked out best and in the last several years it has run fairly smoothly. Why hold the event during Ramadan? I was asked to change the date by many a Muslims who wanted to participate. The event is related with 9/11 and we have to do it Sunday before 9/11 - a tradition has been established for the last five years. The issue was fasting, and the two prayers during our event. This year and for the next two years, we have accomodated the late afternoon prayers at 5:19 to be completed by 5:29, and we will start the program at 5:35 PM, while other people can mix and mingle and get seated during that time. Then the breaking of fast is set at 7:49, we will conclude the program at 7:40 and give a 5 minutes talk on Ramdan PM prior to serving refreshments to all. The Unity Church has lent us the rooms for Muslim prayers, a booklet will be made about the ritual and recitational words of the prayers... every one is welcome to experience the prayer.